Join us to vote for Bristol’s Selection for Iris Prize’s Best of British competition. Queer Vision is a selection partner for the Iris Prize - whose focus is excellence in LGBT+ storytelling on screen. Aspiring filmmakers from our community have submitted short films and now you have the chance to join them for the screening of the shortlist for this year’s Bristol entry - and have the chance to vote for your winner. It will be a tough choice, last year’s Bristol winner – Yellow - is now featured on the best of Iris Prize 2017. The team will be awarding the winner’s trophy on the night - so come along to find out who will get the chance to win a package from Pinewood Studios for their next production. A Knight who also happens to be a Mime. He's pretty down on his luck when it comes to cash. Will he be able to buy himself a meal deal later tonight when the hunger sets in? Realising she's been typecast again, actress Rachelle storms off set, forcing director Nick to chase after her and re think the script. The Unlimited House of Krip celebrates the fusion of D/deaf and disabled performers with the gloriously extravagant world of vogue ball culture. A drag performance film lipsynced to a punk spoken word track of the same name. It is an exploration into and parody of toxic masculinity and its performativity. Bringing to life the poetry of Black Transgender, civil rights activist Pauli Murray, paying homage to her tireless struggles for women's rights and her driving need for change, equality and the right to express our sexuality. Through first person interviews and archive material the film shares stories of growing up Black and Queer in 1970s and 80s Britain. Two young working class men explore the intimacy and vulnerability of relationships in a combative dance against the backdrop of an inner city estate, risking all under the scrutiny of a tight knit, ever judging community. 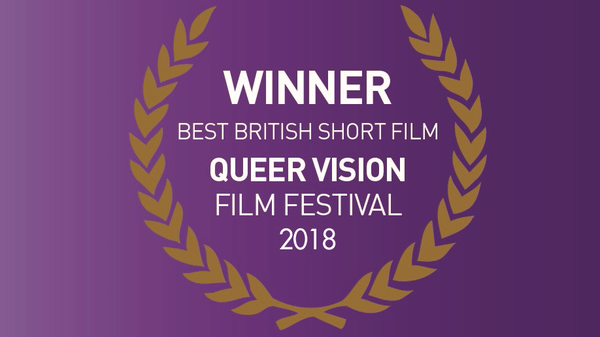 Join us for this year’s Bristol Pride film festival, Queer Vision. Enjoy an outstanding selection of shorts and feature films of striking beauty, diversity, hope, laughter, love - and the challenges we still need to overcome.